Common store with featured products, new products, bestselling, sale off products, promotion banners, customer reviews, testimonials and more. The only WordPress ecommerce theme that fully supports 2 popular ecommerce WP plugins: EasyCart, WooCommerce. Full Responsive WP theme design supports large screen, standard screen desktop, tablet, mobile. 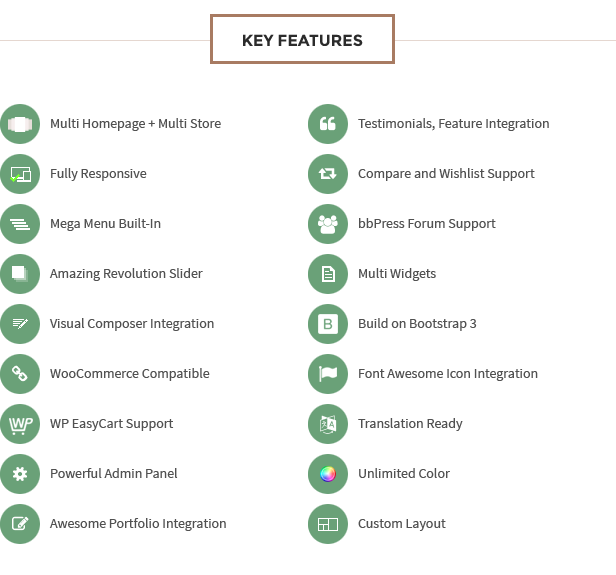 Powerful admin panel let you customize layout, typography, colors unlimited possibilities.